Before I jump into the meat of the post, I want to throw out a hearty welcome to those of you who have been looking at Clade Josso and some of the other works from Smashwords. To you I say Thank you and hope you continue to enjoy reading the works as much as I enjoyed writing them. All is going well. Editing of Kran is moving along, as well as getting close to the end of Bherta, and I’ve contacted a potential cover artist for my short story duet, which will be on its way as soon as I can get a cover and tie up some other loose ends with the stories! 😀 Hopefully, you’ll have some “back to school” reading available for you, compliments of Yours Truly, when all is said and done. Again, those of you who are patiently waiting, I thank you VERY much for your understanding. And thank you again for the feedback that some of you have sent regarding my works that you’ve read! If you are one of the many who have picked up my work but haven’t dropped me a line, please feel free to do so. And now, my potential announcement about branching out: I’m considering fooling around with mystery/detective writing. Now, those of you who have expressed love for the sci-fi/fantasy/horror works, don’t panic. I’ll still be working on more stories in those “Veins” (yes, pun intended 🙂 ) as that will always be a passion for me to pursue. But I’ve been fiddling with a character that’s taken shape in my imagination, and think that he could be put to use in a genre other than the fantastic. He’s meant to be a bit of an unconventional take on the private investigator persona, with a few differences thrown in here and there, and he has at least one semi-short story reserved for him, perhaps more if it proves to be successful. And, much to the delight of my Bear-loving son, he’ll be set in Chicago. So that’s what I’m looking into adding to my plate, along with keeping the imagination working in the otherworldly sense as well. Back to writing, work, and football for me now. Keep the feedback coming, folks! A special Christmas BOGO offer from Yours Truly! Greetings, Bearers and soon-to-be Bearers! Ah, Christmas… one of my favorite times of the year. Well, except for the snow, that is. I have to tell you, if you’ve never spent a Christmas in Hawaii, you need to do so. Best thing in the world, going to the beach on Christmas day, walking around in eighty degree weather, and seeing Santa on a sleigh pulled by eight dolphins! Nothing like it. With this Christmas, I’d like to make a special offer for those of you who have not yet purchased The Summoning of Clade Josso on Smashwords. Purchase Clade Josso anytime on Smashwords between now and December 31st, and then send me a personal message through this site or Via Email including a copy of your Smashwords receipt, and I will send you a coupon to download The Summoning of Old Velt Ebook for free! This BOGO is a great way for you to take your first steps into the world of the Vein if you have not done so, and if you already have, feel free to pass on this special offer to others! Well, back to the grind and spreading myself thin. I’m past three hundred pages on The Summoning of Kran and am still going strong, and I’m also prepping the Vein omnibus (which is a lot of work, but also a blast to do). In addition, the cover for Alternate Endings will soon be on its way. Maybe it’ll show up as a Christmas present for both me and you guys! And once again, a hearty shout-out to you newcomers in the Vein! I don’t take my readers for granted; you’re a special group of people for taking a chance on me. Thank you SO much! See you in the Vein, and 16 days to Christmas! Some of the stories in Alternate Endings will be previous releases, but a good deal more of them are new releases never before seen by the public at large. When I’m finished editing (ugh… not fun..) and Kim from hotdamndesigns.com sends me my cover for evaluation, the book will soon be available for your enjoyment. (By the way, if you go to Kim’s website, you’ll note that most of the covers are romance-based. Don’t sweat it though: I don’t do romance covers, and asked for something far different for my own book 😀 I’m confident that she’ll have something good for me to see.). I’m still making progress on The Summoning of Kran, and am bringing the journey of our third Bearer to the end. If all goes well, I’ll have an excerpt for you to check out come Christmas time. I was hoping to have the book ready for you just in time for stocking stuffers, but unfortunately things aren’t working out as well on that front as I thought they would, so I hope that a little sample will work for you. So back to writing I go. Enjoy what’s out there, and I’ll let you know as soon as my cover comes through! No, fortunately the title does not refer to any of my previous works. But it does refer to my review of Peter Straub’s A Dark Matter. I’m not too happy about that; the review wasn’t half bad, all things considering. Don’t know why it didn’t accept what I put down. Unless, of course, I’m getting senile and forgetting to send the review in after typing it up… a completely feasible situation, knowing myself…. Sooooooo… I’ll put it up again, hoping that this time it sticks. Might be a day or two before I finish it, but it’ll be there. Promise. In the meantime, back to writing on The Summoning of Kran. I’ve finally set aside a consistent block of time to work with, meaning the pages are churning out! Meaning I’ll have this baby ready to be edited sooner than I thought! 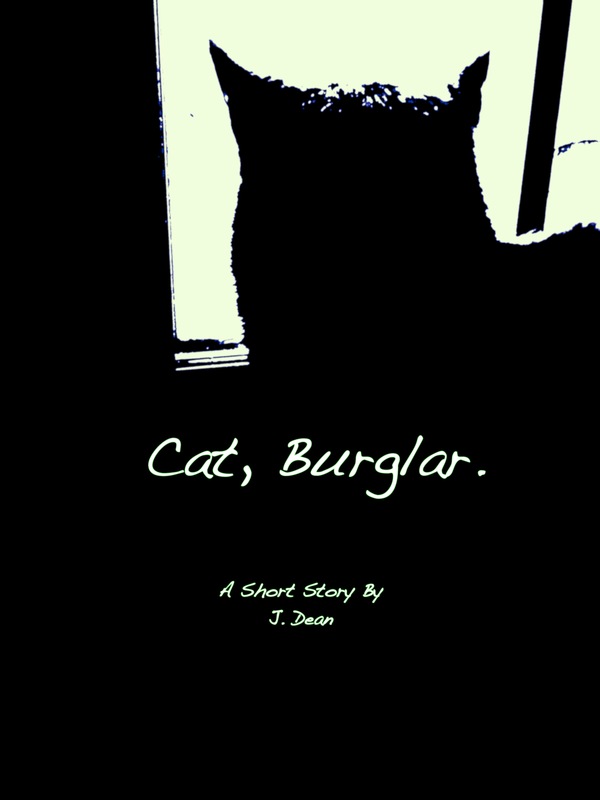 Ahh… beautiful thing when things go your way..
Before I sign off, I want to remind all of you to check out “Fraidy-Cat” and “10:15” on smashwords.com before they come down November 1st and join my upcoming short story collection. Enjoy them while they last! My short story collection is almost finished. I’m waiting on the cover to show up, and have to say that I’m getting more and more excited by the day. When the cover shows up, you who frequent this site will be the first to see it. I hope to hear from you about your thoughts regarding the cover when it’s up! Alas, I must report some sad news: as part of the story collection, I will be including my free short stories, and as a result I intend to take down two of the three stories, Fraidy-Cat and 10:15 , from Smashwords.com (I will leave Nick up there for perusal, as well as my poems and, of course, the novels). So if you’d like to check out my free stuff while it lasts, check out the links above to read the stories, before they go. I have to admit, I’m pleased with the readership of the short stories. They’ve gotten many downloads, and it’s pleasing to see so many people get enjoyment from the material put out there. If you liked what’s already been offered, then I’m sure you’ll like Alternate Endings when it’s finished up. The stories are fresh and new, and will be sure to entertain! Okay, no more yakking. Back to work for me!